Sign language is a great way to support your child's emerging communication skills! 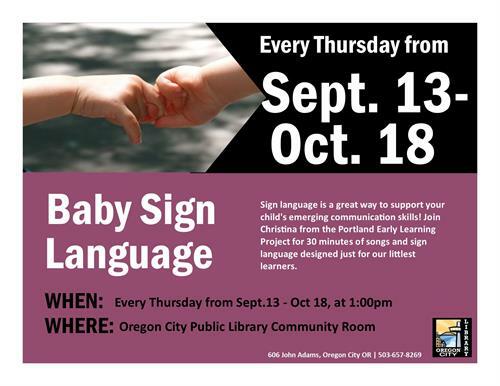 Join Christina from the Portland Early Learning Project for 30 minutes of songs and sign language designed just for our littlest learners. * Canceled for 10/11 as Library will be closed.